Clickvision Media have be designing Websites for businesses locally and across the UK for the last 5 years and was the latest edition to our digital services family. 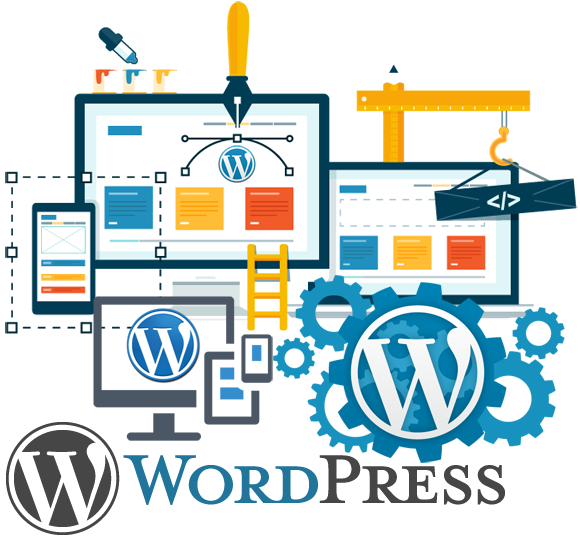 WordPress is now the worlds leading open source CMS program and is utilised by millions worldwide. It started as a simple blogging platform but swiftly turned into a fully customisable drag and drop style Website Design program. To date we have created WordPress websites for businesses in many sectors including, Travel, Dentistry, Building Sectors, Fencing, Recruitment & eCommerce online shops to name but a few. The true beauty of WordPress allows site owners to add content and images as and when they feel it necessary in turn reducing the need for expensive development time (with a little training of course). Clickvision Media offer complete WordPress website design and development. From a simple 1 page brochure site to direct customers to a shop for instance, to a full and much more advanced e-Commerce solution with forums or memberships & eCommerce so that you can take your high-street shop online and generate extra revenue. Why not talk to us today and have a chat about your ideas and your budget, this way we know what we have to work with. We are 100% confident we can help create the perfect site for you at the right cost.